Solid interior doors by TruStile Doors in paint-grade, premium MDF or stain-grade wood in a variety of species are custom made using authentic stile and rail construction. Design options range from traditional to contemporary, with solid, glass, mirror, metal, and leather inserts. Doors are built using environment-ally friendly materials and manufacturing practices and carry a lifetime warranty against defects in workmanship and materials. ProVia is a leading manufacturer of entry doors, storm doors, patio doors, windows, vinyl siding, and manufactured stone. 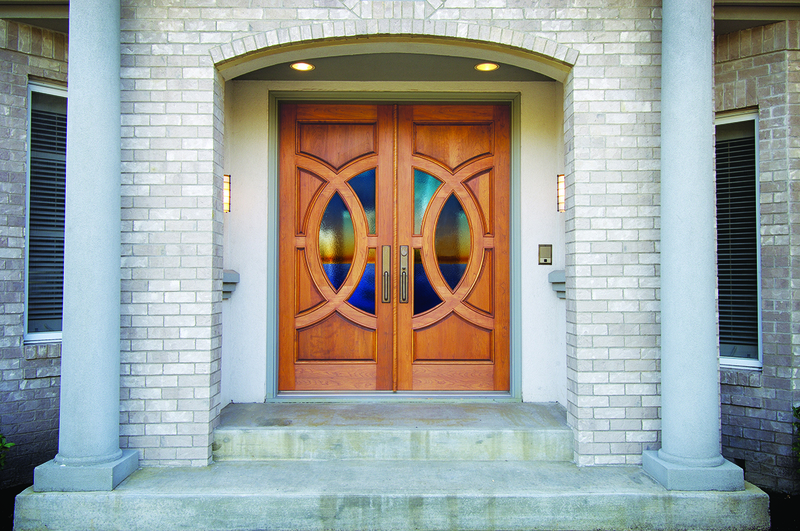 Its Embarq fiberglass entry door system (shown), promises maximum energy efficiency, with a 0.10 U-factor—at least four times more insulating value than a typical wood door, the company says. 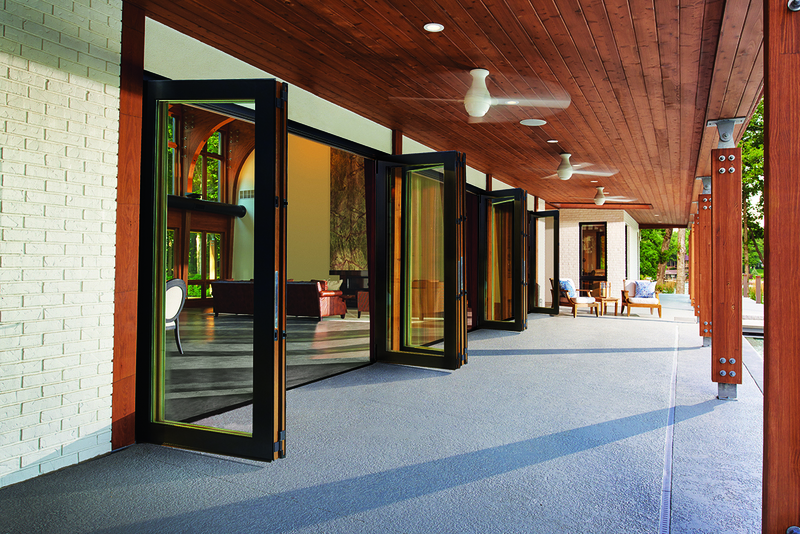 The Embarq is available in a number of styles, finishes, glass options, and custom sizes. Phantom Screens motorized retractable screens appear at the touch of a button and disappear when not needed. Suitable for indoor and outdoor living spaces, screens will fit openings up to 25 feet wide and 16 feet tall and can be recessed or surface mounted. Always installed by factory-trained professionals, Phantom motorized screens come in one of many signature colors or can be custom matched. Marvin Windows and Doors’ Ultimate Double Hung Next Generation window features auto-locking hardware with one lock point at the center of the top check-rail, replacing through-jam locking points, for more natural operation; a wide range of customization options; expansive sizes up to 5 feet wide and 10 feet tall; and superior performance, including IZ3--certified coastal options. Integrity Windows and Doors from Marvin are made with Ultrex pultruded fiberglass, which the company pioneered and says is eight times stronger than vinyl and as strong as steel. Integrity offers an All Ultrex fiberglass line, as well as a Wood-Ultrex line that combines a wood interior with a fiberglass exterior. Ultrex resists rotting, warping, fading, and chip-ping. Many Integrity products offer Impact Zone 3 certification for coastal projects. Jeld-Wen designs, produces, and distributes an extensive range of wood, vinyl (Premium vinyl tilt casement window, shown), and aluminum windows and related products. Using an exclusive manufacturing process called AuraLast ensures longer-lasting wood in Jeld-Wen products, and sound-reducing Sound-Master glass makes for quieter living spaces. Jeld-Wen’s products are also recognized for their energy efficiency. Clopay offers more than 1,000 traditional and contemporary garage door designs, as well as custom designs in a range of materials from steel to composite to wood. 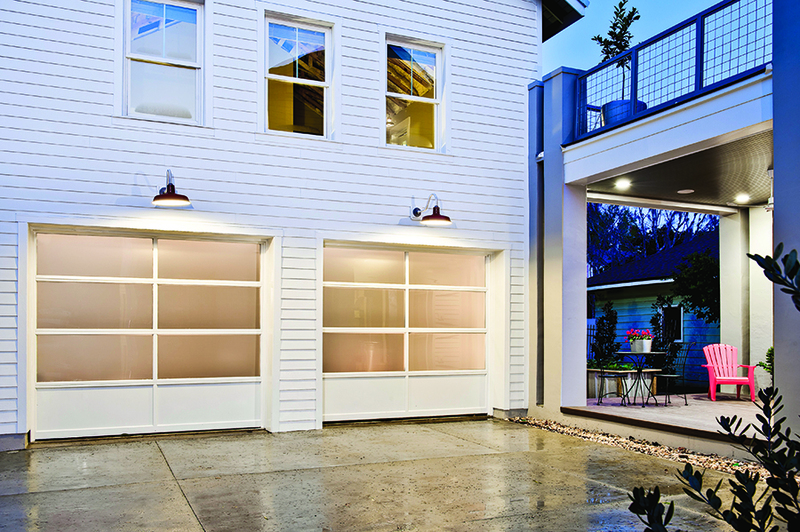 The Avante contemporary glass and aluminum garage door (shown) admits natural light during the day, and provides a warm glow at night. A choice of glass options ensures the right degree of natural light and privacy. 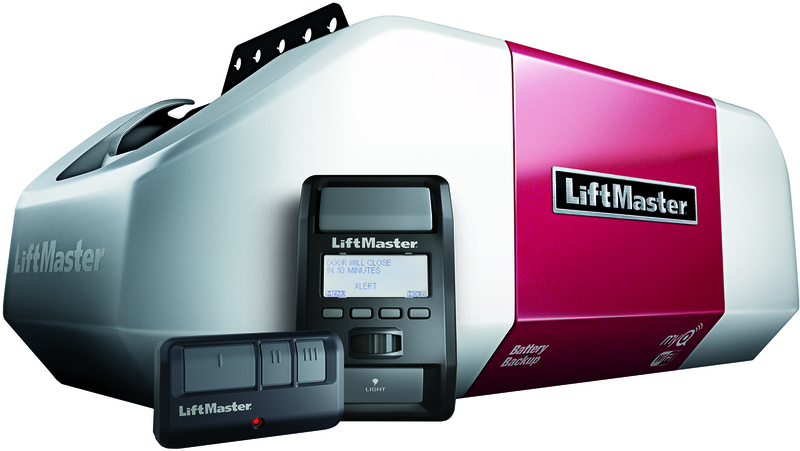 LiftMaster’s Elite Series of garage door openers offers a full suite of innovative features, including smartphone control, battery backup, and advanced security. The 8550W (shown), is the first Wi-Fi residential garage door opener, the company says, that connects with a smartphone using the free MyQ app. 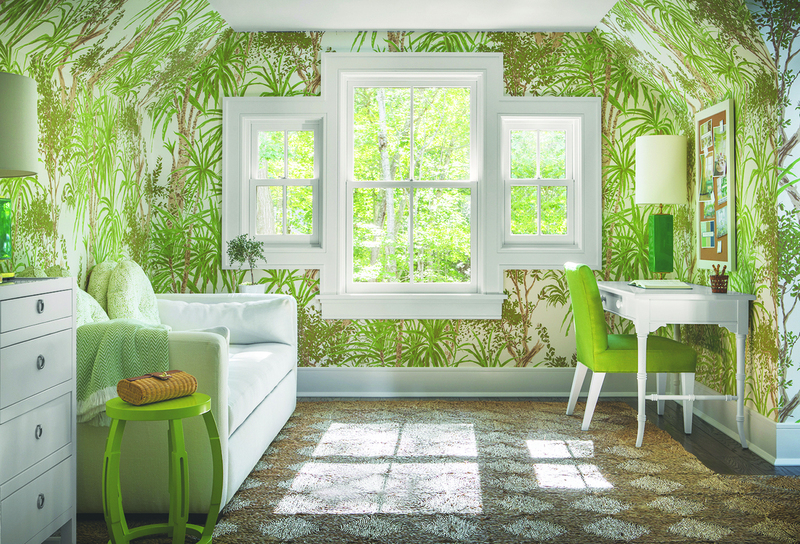 Revive pocket replacement windows from Windsor Windows offer a simple, one-hour installation process that leaves wood trim and other features undisturbed. 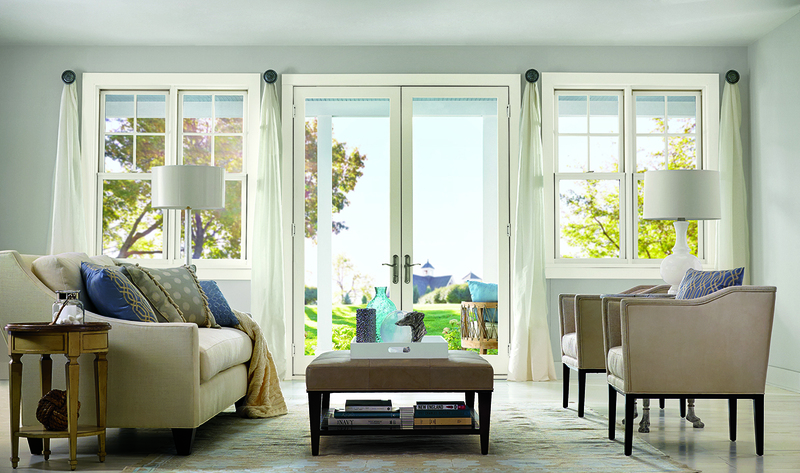 Built to order with customizable features in either wood clad, hybrid, or vinyl, Windsor Revive pocket replacement windows have Edge-tech Super Spacer technology and Cardinal LoE 366 glass to create a glazing system with superior energy efficiency. 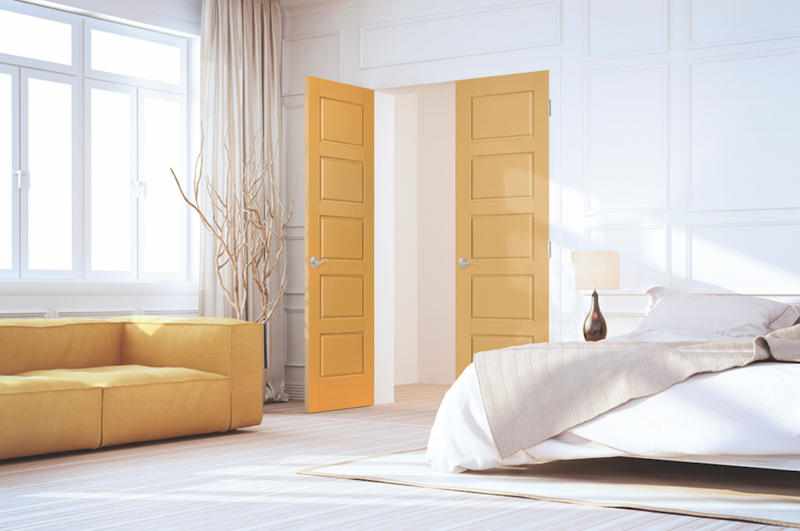 Masonite provides a comprehensive selection of distinctive interior door styles to complement any home or taste. Inspired by true millwork craftsmanship, every product is the result of years of research, design, and engin-eering, which begins at the Masonite Innovation Center in suburban Chicago. Masonite’s dedication to a fully integrated design process helps set it apart from the competition. 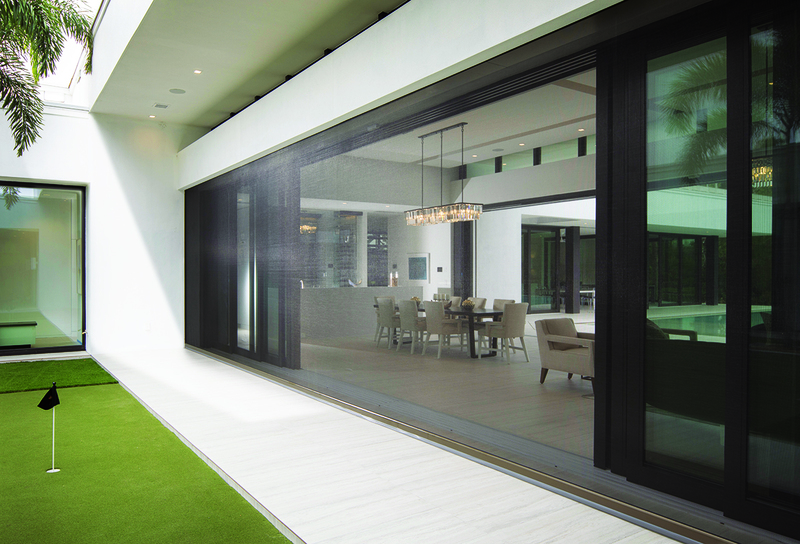 Marvin’s Bi-Fold Door will suit homeowners who want unob-struct-ed views through big glass panels: up to 3 ½ feet wide with a 10-foot max-im-um frame height. Available in more than 90 configurations, the Bi-Fold door uses two hinges instead of three for a streamlined look. Concealed multi-point locking comes standard, and multiple sill liner options are available. The extensive line of Simpson Door wood doors includes hundreds of stile and rail options as well as custom designs. Exterior doors can be crafted in any species of wood in sizes up to 5 feet wide with special configurations, such as arch tops, and featuring distinct-ive decorative accents and glass or resin panels. 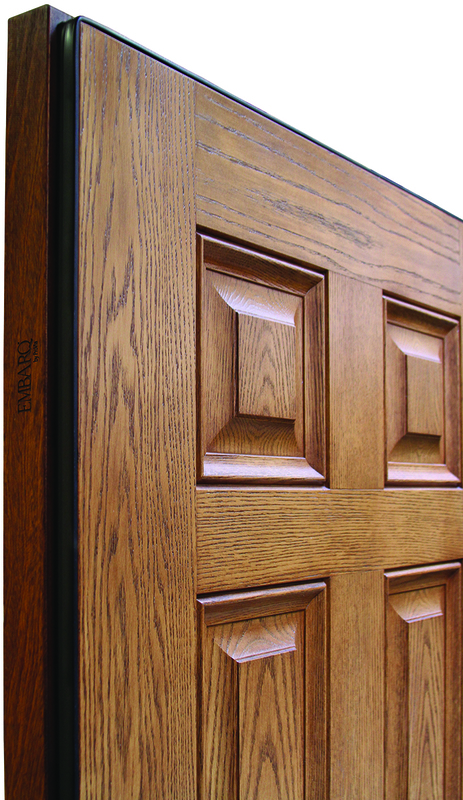 Contemporary Simpson exterior doors offer sleek, modern styling paired with the warmth and durability of solid wood. 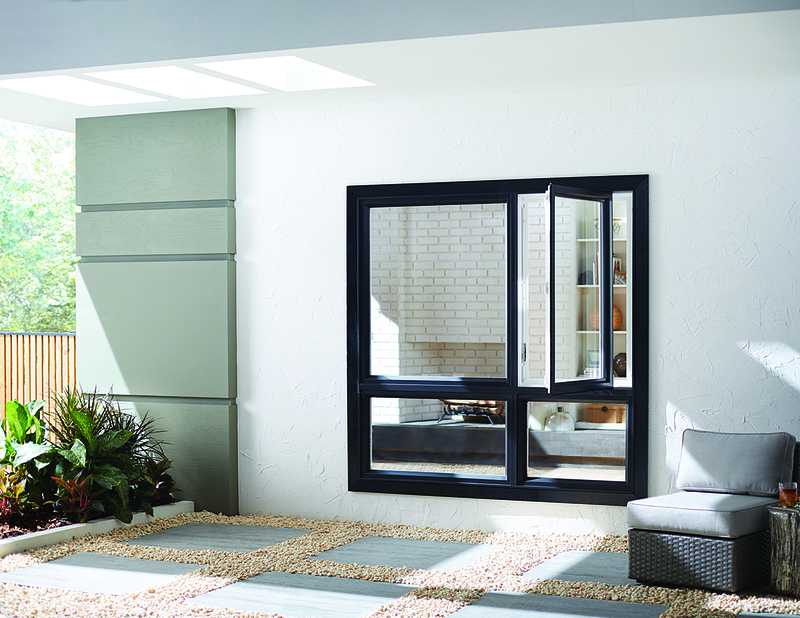 Marvin Windows and Doors’ Contemporary Studio Casements and Awnings now offer larger sizes. The Contemporary Awning (shown) has a narrow frame and jamb and flush exterior frame and sash for maximum glass area and a crisp aesthetic. It is available in sizes that set the industry standard for large windows, the company says. Both crank-out and push-out styles are available. The 1562 Series Commercial Grade Bypass Pocket Door Frame from Johnson Hardware lets you create twice the opening width of the company’s standard pocket door frame using a single wall recess. Designed for installation in both bypass pocket door and converging bypass pocket door applications, the frame will support two heavy-weight, solid-core bypass doors in a standard 2x6 timber-frame or steel-frame stud wall. Also available: Soft Close Sliding Door Hard-ware (Series 1500SC) on pocket doors.